Our favorite Bowery hotspot got even hotter this morning. 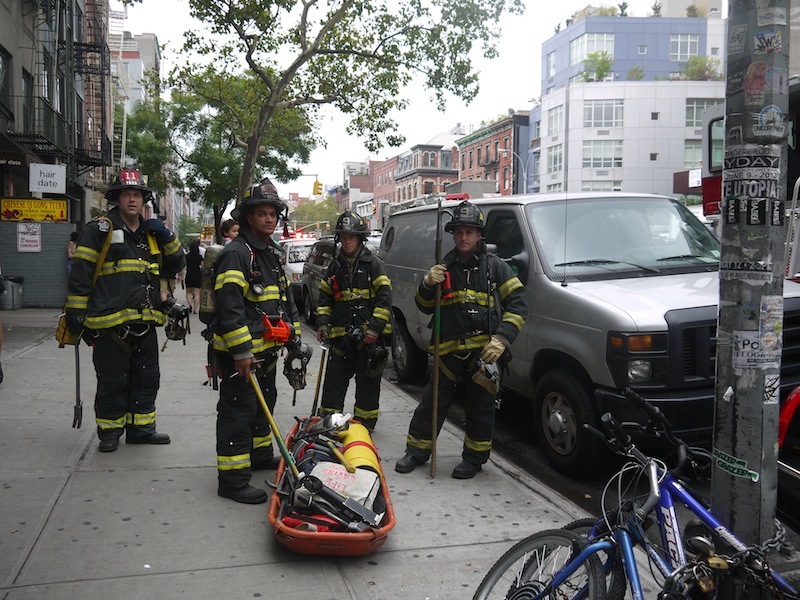 Around 11:40 a.m., an electrical fire started on the 14th floor of the Bowery Hotel. Firefighters had it contained to an electrical room there by 12:07 p.m. and there were no injuries, the fire department said. According to the FDNY, 30 people were evacuated from the building, leaving a lot of disgruntled hotel guests standing outside in their pajamas — which begs the question, why are there so many people hanging out in their pajamas at noon on a Thursday? While an NYPD officer told us that the fire was small, many of the guests said they smelled and saw smoke. 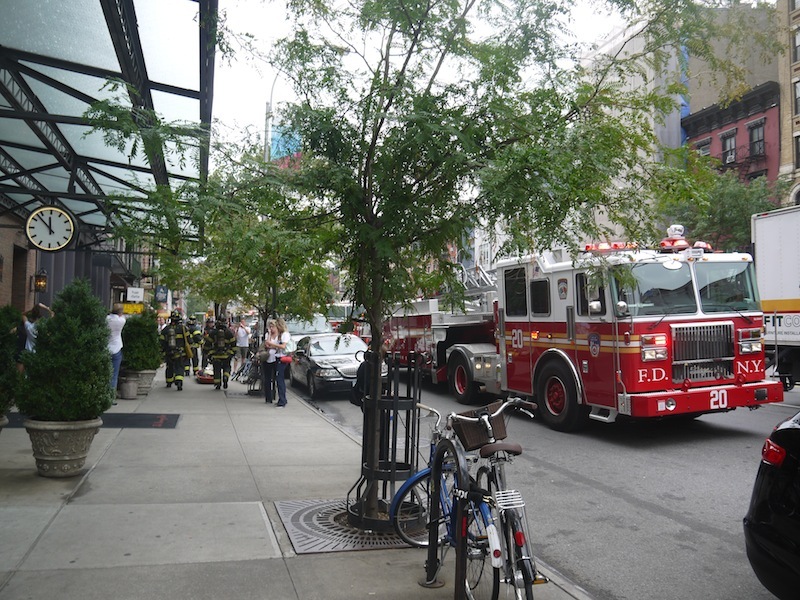 Even with the eight-plus fire trucks, scores of firemen and various evacuated guests, the folks enjoying brunch at Gemma didn’t seem bothered by the commotion, staying put to chow down on their baked eggs amidst the siren wails.